The topic of essential tremor is in the news more than most realize. 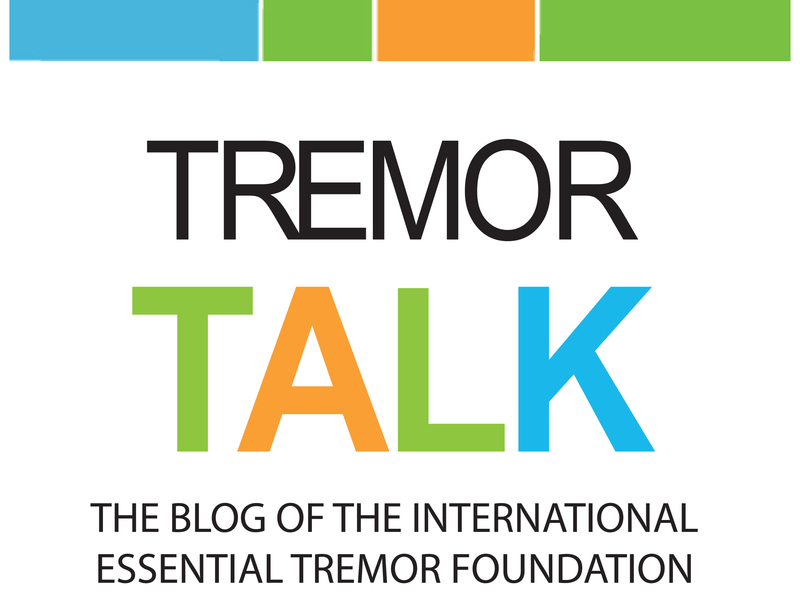 Below you will find a collection of news articles and reports from around the world all discussing some aspect of essential tremor, including research. When reading any research findings, remember that in order for research to be considered valid, it must be repeated and come to the same conclusions. 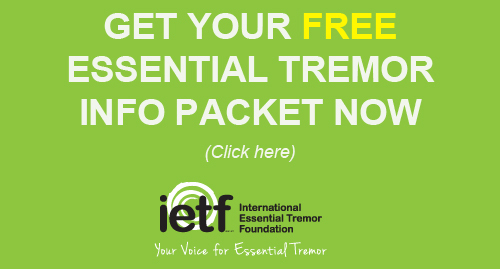 If there is a news article about essential tremor that is not listed here, please forward the headline with a link, to our communications department at info@essentialtremor.org. (From chicagonow.com, January 3, 2019) Daryl Dragon from the famous pop duo Captain and Tennille, died January 2 from renal failure. He was forced to end his musical career in 2009 when he was diagnosed with Parkinson’s disease. However, later his diagnosis was changed to essential tremor. (From www.health.ucsd.edu, September 18, 2018) Researchers at University of California School of Medicine are preparing to launch a novel clinical trial to examine the safety, efficacy and pharmacological properties of cannabis as a potential treatment for adults with essential tremor (ET). Currently, ET is treated using repurposed medications originally developed for high blood pressure or seizures. Surgery is another option. (September 18, 2018) Tilray Inc. today announced that the U.S. Drug Enforcement Administration (DEA) has granted approval to import a cannabinoid study drug into the United States from Canada for a clinical trial at the University of California San Diego (UC San Diego) Center for Medicinal Cannabis Research (CMCR) examining its safety, tolerability and efficacy for Essential Tremor (ET). (From Neurology Times, August 3, 2018) Challenging Case: A 36-year-old male presents with new-onset tremors of the hands. He is a project manager at a small company, and the tremors intensify when he is working. He is a married father of one child, aged two years. He reports that his family life is stable, but that is not necessarily the case at his job. The US Food and Drug Administration (FDA) has granted a De Novo request for Cala ONE, an individualized prescription neuromodulation therapy for transient relief of hand tremors in adults with essential tremor (ET). Cala ONE is the first-ever non-invasive, targeted nerve stimulator for the treatment of ET to receive FDA marketing authorization. Non-invasive neuromodulation therapy using a custom stimulation pattern provides symptomatic relief from hand tremor in essential tremor. A study, conducted by Rajesh Pahwa, MD, from the University of Kansas Medical Center in Kansas City, KS, found that the therapy was safe and produced significant improvements. Chicago Sun-Times Opinion – My paternal grandmother and my mother both had essential familial tremor. I developed it around the same time my mother did. I saw a neurologist. When he handed me a pamphlet from the International Essential Tremor Foundation, I saw that the head of it was a distant cousin on my paternal grandfather’s side. I had a nice conversation with him and he said that he’d had it for 25 years and it had never changed. GoMedClinic.com – The U.S. Food and Drug Administration today approved the Brio Neurostimulation System, an implantable deep brain stimulation device to help reduce the symptoms of Parkinson’s disease and essential tremor, a movement disorder that is one of the most common causes of tremors. By Juliet Eilperin and Carolyn Y. Johnson, The Washington Post – Paying tribute to both bipartisanship and his vice president — who was galvanized by his own son’s death to change the way the United States combats cancer — President Obama signed legislation Tuesday that aims to increase funding for medical research, speed the development and approval of experimental treatments and overhaul federal policy on mental health care. By Ejaz A. Shamim, M.D., U.S. News and World Report – If you hold your hands in front of your face and examine them closely, you can see them shake ever so slightly. That’s normal. Everyone has some degree of this involuntary trembling, known as a tremor. But for some people, because of changes in the connections in the brain caused by aging, injury, stroke or other neurological disorders – such as multiple sclerosis or Parkinson’s disease – the tremor can become so severe as to leave the person unable to function. EconoTimes – Elbit Imaging Ltd. announced today that it was informed by INSIGHTEC Ltd. that the Centers for Medicare and Medicaid Services assigned a status to the Exablate Neuro treatment for Essential Tremor, moving it from a non-payable status indicator to one that allows reimbursement. MyCentralJersey.com – Robert Wood Johnson University Hospital (RWJUH) in New Brunswick in partnership with Rutgers Robert Wood Johnson Medical School is the first facility in New Jersey and Pennsylvania to use the St. Jude Medical Infinity Deep Brain Stimulation (DBS) System, an advanced treatment option recently approved by the U.S. Food and Drug Administration (FDA) for patients with Parkinson’s disease and essential tremor. WireService.ca – Researchers at the Montreal Neurological Institute and Hospital of McGill University and Kiel University in Germany have led a large international collaborative study that sheds new light on the genetics behind essential tremor, in a paper published in Brain Journal on Oct. 21, 2016. It is the largest study on essential tremor to date. FDA.gov – The U.S. Food and Drug Administration today approved the first focused ultrasound device to treat essential tremor in patients who have not responded to medication. ExAblate Neuro uses magnetic resonance (MR) images taken during the procedure to deliver focused ultrasound to destroy brain tissue in a tiny area thought to be responsible for causing tremors. By Kristen Anderson, Missoulian – For Ken, a cup of coffee is better if it’s half-full. That’s because his shaky hands would spill a full cup. He also has trouble with handwriting, and sometimes playing his guitar is difficult. All this can be frustrating for Ken, who is 61. But he’s used to it – he’s had a condition called essential tremor since he was about 12 years old. Dr. David Carll, Bay Observer – Tremors, sometimes called shakes or twitches, are defined as involuntary spontaneous body part oscillations affecting any muscle group but with the most commonly involving the hands and arms. There are a wide range of causes for these movements some innocuous, some progressive and some debilitating in the long run. Meryl Lin McKean, Fox4KC – Imagine having trouble writing your name or pouring a glass of water because your hands shake so badly. That was the case for a Gardner, Kan., man. The tremors started when Mark Hansen was in junior high, and they worsened over four decades. AAN 2016 Conference Report by Samantha J. Peterson – In a study of 2857 patients with essential tremor, 33% received no treatment for their tremor. Of those patients who did receive treatment, 33% experienced no benefit from beta-blockers and 35% discontinued due to side effects. In addition, 17% reported no benefit from primidone and 23% discontinued due to side effects. Researchers studied the effects of SAGE-547 to evaluate a possible role in restoring GABA dysfunction. PR Newswire – INSIGHTEC, the leader in MR guided Focused Ultrasound (MRgFUS) therapy announces today that Health Canada has approved its Exablate Neuro system for the treatment of essential tremor. Lori Duff, Huff/Post 50 – My name is Lori Duff, and I have Essential Tremor. Essential Tremor is a fairly common, mostly harmless neurological condition that no one has heard of, and most people never bother getting diagnosed with. I call it the shakeys. My Dad has it, too. He never bothered naming it or getting diagnosed with it, and I was almost 40 before I stumbled on a magazine ad (in a March issue, of course) which made me say, loudly and out loud, “That’s it!” in the waiting room of a doctor’s office, the only place I ever read magazines. Mark Foster, the Northern Echo – The medieval mystery surrounding the “Tremulous Hand of Worcester” is a step closer to being solved thanks to an academic from York. The Tremulous Hand was a prolific 13th century scribe whose identity is unknown but who was given his nicknamed because of his distinctive shaky handwriting. The medieval writer has been the subject of much debate and speculation regarding his condition, but the central question always remained: what type of tremor did he have? Jefferson Underwood III, M.D, Montgomery Advertiser – Sipping on a warm cup of tea, feeding yourself soup with a spoon or simply writing your name. We take being able to perform these simple tasks for granted. Now with the proper diagnosis, use of appropriate medications and new cutting edge treatments, many individuals who suffer from debilitating tremors will hopefully be able to resume that morning cup of coffee. Biomedcentral.com – March is National Essential Tremor Awareness Month, a neurological movement disorder that causes unintentional shaking movements of the hands and head. In this guest blog Ariel Levy and Robert Chen, editorial board members for Journal of Clinical Movement Disorders, explain more about the disease. PR Newswire – Liftware (www.liftware.com), a stabilizing handle with a selection of attachments, helps people with tremor (essential tremor, Parkinson’s and Multiple Sclerosis) eat with ease. Today, the company announced it will reduce its price for the holiday season by one hundred dollars, selling now for $195. The promotion will run through December 31, 2015. Stacey Colino, U.S. News & World Report – If your hand routinely shakes when you hold a drink, sign your name or tap a number into your cellphone, you may fear that you’re experiencing signs of Parkinson’s disease. But what you’re more likely to have is essential tremor, a common neurological condition that causes an involuntary, rhythmic trembling of the hands during movement but can also affect the head, voice or legs. Randall Beach, New Haven Register – When Robin Caron sat down to write an email message to me (a major effort for her), she gave it this heading: “ET is more than a movie.” “Have you ever heard of ET (essential tremor)?” she asked. I had not. Nor have many other people. And that’s her point. Caron told me she had never heard of ET, either, even though she was a registered nurse, until she was diagnosed with the neurological condition in 1993.
oregonlive.com – A team of three specialists will perform deep brain stimulation surgery in a patient who’s awake. The program, “Brain Surgery Live with Mental Floss,” will air at 6 p.m. Pacific Standard Time on the National Geographic Channel. PR Newswire – INSIGHTEC, the leader in MR guided Focused Ultrasound (MRgFUS) therapy announces today that it has submitted a pre-market approval application (PMA) to the U.S. Food and Drug Administration (FDA) for its Exablate Neuro treatment of Essential Tremor. By Elan D. Louis, Brittany Rohl, and Catherine Rice (the IETF’s former Executive Director) – A six-item patient-centeredness questionnaire was devised to assess the self-perceived needs of essential tremor (ET) patients. Patients with ET identified a broad range of issues that they felt were not addressed in their treatment; indeed, only one in 10 patients reported that they were satisfied with their care. It is hoped that patient-centered approaches will lead to improved models for the care of patients with this common chronic disease. nih.gov – The objective of this study was to assess the comparative effectiveness of botulinum toxin and propranolol in patients with essential vocal tremor (EVT). Benzinga – The 21st Century Cures provision, one of the International Essential Tremor Foundation’s top advocacy issues, will help create incentives for pharmaceutical companies to pursue medications that currently don’t exist, are difficult to develop and costly to produce, but have the potential to improve the lives of millions of Americans living with chronic diseases and disabilities, like essential tremor, a common neurological condition affecting 10 million Americans. Journal of Clinical Movement Disorders – Essential tremor (ET) is a common condition associated with significant physical and psychosocial disability. “Classic” ET is a clinical syndrome of action tremor in the upper limbs and less commonly the head, jaw, voice, trunk, or lower limbs. Current diagnostic criteria for ET exclude isolated vocal tremor (IVT). Failure to recognize IVT as a form of ET may contribute to misdiagnosis and missed opportunities for treatment. Colleen Kottke, Fond du Lac Reporter – All Jean Ricigliano wants is a little respect and understanding. Diagnosed with the neurological movement disorder essential tremor (ET) in her 20s, the 37-year-old New Hampshire woman says the disorder has impacted nearly every aspect of her life. Click the link below to find more stories about ET in the news. As these stories go back several years, some links may no longer be available. Please let our web administrator know about any dead links you find. Email the Admin.